A wedding and event space that's out of the box. It doesn't seem the most likely place for a romantic or chic event but it definitely is the trippiest. 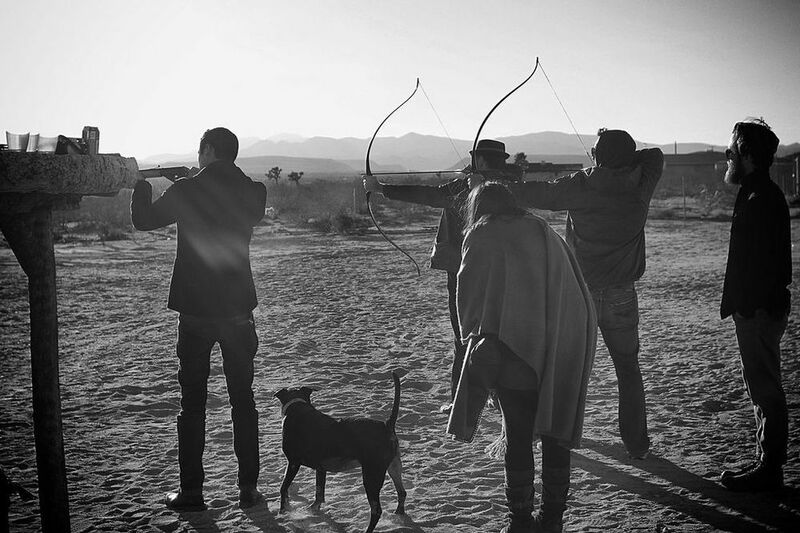 With all the amenities you need, including archery and a tipi, Hicksville is the best private all inclusive trailer park in Joshua Tree. Two hours out of Los Angeles this desert oasis will put a smile on you and your guests faces. Guests stay in vintage trailers, each with it's own theme. 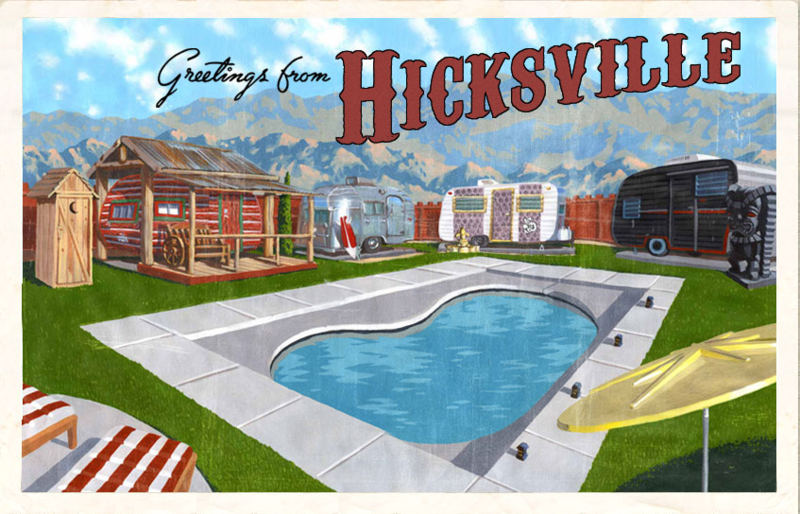 Fire pits, surround sound jukebox, coffee machine, ping pong table, mini golf, a library hut, a recording studio (yes you can also mix your next album here), pool and jacuzzi makes Hicksville a perfect set up for a rustic yet chic party.